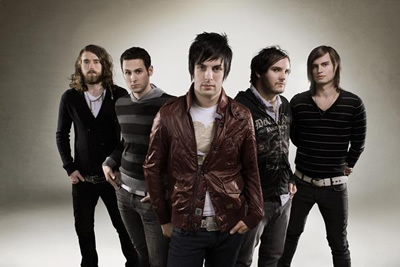 The band released their debut album, Even Heroes Need A Parachute, in 2007. To say that This Beautiful Republic’s debut release evokes strong, positive emotion would be an understatement. Sonically, the band lies somewhere between Switchfoot, Foo Fighters, Jimmy Eat World, and Taking Back Sunday. Heavy guitars, heavier hooks. But beyond powerful, commercial rock choruses and strong, dynamic, melodic songwriting is an element not found many places. It is the presence of something other-worldly that sets this band apart. It is rare that a debut effort contains such strength from front to back. Consider the track “Cloud Cover.” It is an exercise in ambiance, which moves to a wonderful, wide-open expanse that is the song’s hook. Straightforward in its evolution, the song incorporates purposeful, direct instrumentation as well as structure, taking the listener deep into a heavenly presence. Similarly, debut radio single, “Jesus to the World,” contains a forthright chorus that lingers long after the song is finished, beckoning listeners to connect with heaven. This Beautiful Republic ’s rock fills, beats, and riffs offer enough potency to satisfy the most ravenous audience. Added texture intelligently placed with keyboards and samples also make the record three-dimensional. 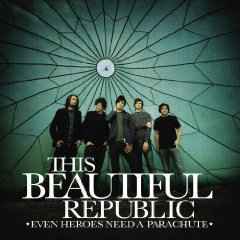 If the bar was set high by This Beautiful Republic’s eponymous debut Even Heroes Need A Parachute, it has now been completely obliterated by their sophomore effort Perceptions (2008). At first listen there are at least half a dozen tracks with heavy single potential. The band left nothing to chance, hammering home an album that is 100% complete from front to back. While beautiful songs such as “Learning to Fall” could easily become worship staples at festivals and crusades worldwide, jams like “No Turning Back” will grab you by the neck like a vice. On “For the Life of Me” Olin sums up the record’s overriding theme: that God does not see us for our mistakes: For the life of me, why’d you bear my chains? For the life of me why’d you walk to Calvary ? For the life of me I can’t explain, the reason you died and the reason you came was for the life of me. What do you see in me? I’m a leper not a King.